1. The Award shall be open to all persons with disabilities. 2. The recipient shall have reached at least 16 years of age at the time of nomination for the Award. 3. The recipient shall have demonstrated at least three years of experience in self-advocacy at the time of nomination for the Award. 4. The Award shall recognize a person who has a record of having demonstrated leadership in self-advocacy, preferably including cross-disability advocacy. 5. 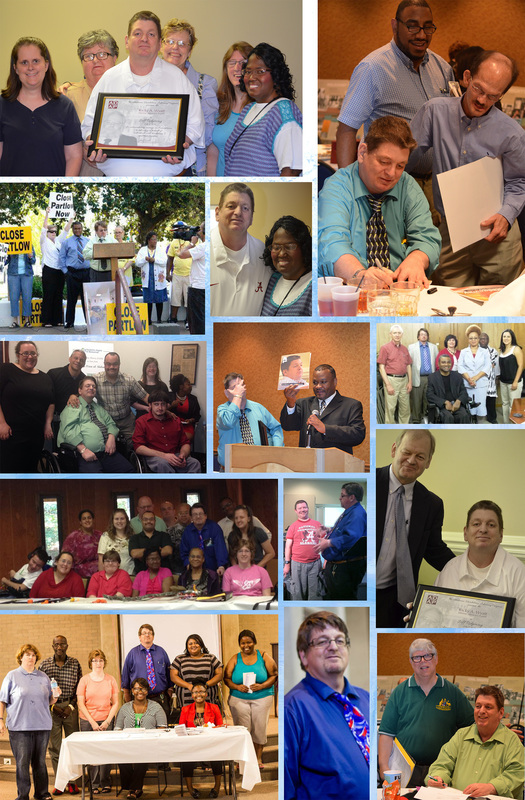 The Award shall recognize a person who has a record of having stated a vision for the future of the self-advocacy movement in Alabama. 6. Nominations for receipt of the Award shall be made in writing, and shall close not later than May 7, 2018. 7. Selection of the Award’s recipient shall be made by a committee of not more than five persons including the ADAP Director, who shall serve as chair. 8. Selection of the Award’s recipient shall be agreed by consensus. 9. If any of the persons identified to participate on the selection committee cannot serve, then that person’s logical successor shall serve in his/her place.